So, this week I was invited to an event with the great folks over at 2K and Megarom to eat and drink free things while getting to also check out XCOM 2 and Battleborn. 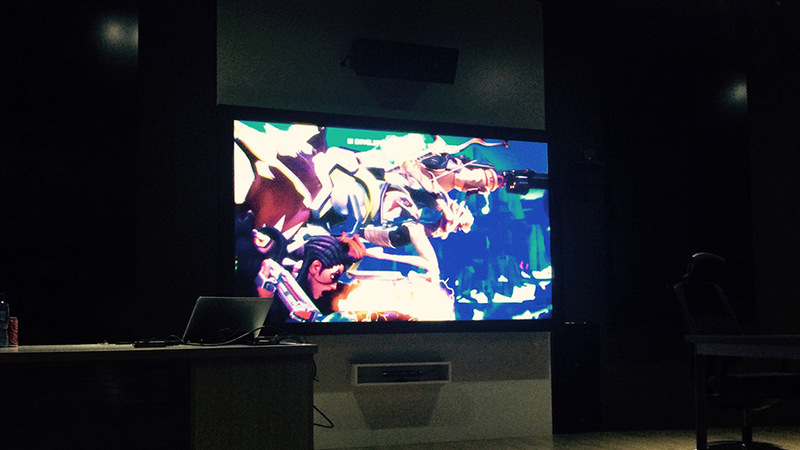 Despite the tremendously delicious spinach and feta samosas that I found on the food table, I left the event with less of a great taste in my mouth from the short bit of time I got to spend with Battleborn itself, playing in a 5 man co-op team with fellow journos. So then just to get it all out the way, yes the samosas were *that* delicious (just so we can be clear about this) and also, I only had one full game on a single map playing as one of the characters available to me so I’m basing this experience on my quick dip into the experience as well as watching some other people play, rather than a full-blown preview. There’s lots of info and gameplay videos about the game and how it works, so I’m not going to harp on about that. What I will do though is just give you a rough idea of what my feelings were about the game when I finished playing it. The game immediately brings on a Borderlands vibe, mostly because of its visual style and controls and I even detected a hint of Evolve in there, but only, truly because of a shared publisher as well as the fact that it was an us-vs-them co-operative mode. I also felt a touch of Destiny in there when playing through some of the areas, but only a touch. The truth of the matter is that by the time we were getting to the end of the map, I had already sort of lost interest and just kind of wanted to get on with it… not the sort of feeling you want when you are playing a game. It’s similarity to Borderlands makes it feel all too familiar, but not the good kind… and yet I think it would have benefited the game to have latched it onto the Borderlands name, just for the sake of being noticed. To look at it from a more positive perspective, there are going to be 25 characters to choose from out of the box when it launches, which is great and should add a lot of variety, but a lot of this game’s success may hinge on yet to be announced details like how much final content there will be. I do think that if you have a solid team of buddies to play with and if the difficulty is ramped up significantly then you could really sink your teeth into it and have a great gaming experience night after night *if* there are a good chunk of varied and fun missions to play through. 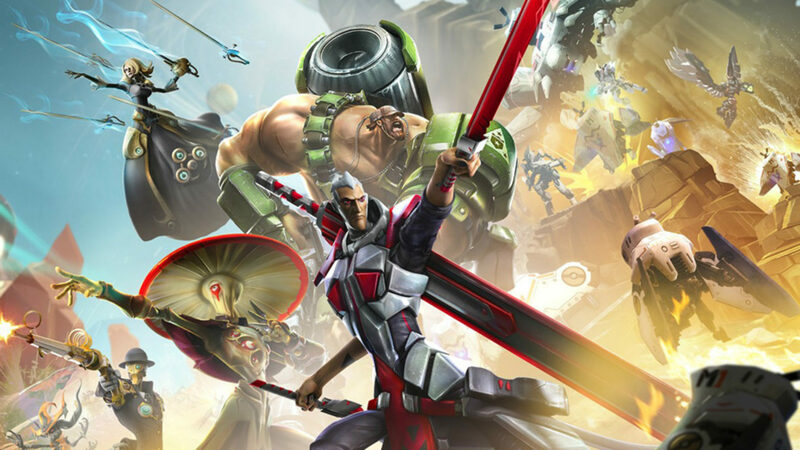 The most unfortunate thing about Battleborn really is that it generated almost no response from me, I wasn’t excited but I didn’t hate it either and from the chat I had with other local journos after, it seemed to be the general feeling with everyone. It’s just blending in, and the fact that so many people will (and already have) been constantly confusing its name with Bloodborne doesn’t help either. I actually reread the entire article again just to ensure that I didn’t mistakenly write Bloodborne instead of Battleborn anywhere I wasn’t supposed to. True story. I hope I’m wrong in saying it, but I think this game is going to struggle to sell, especially when it oozes that whole free-to-play vibe, but is a full priced fully featured release. That should be a good thing, but I’m not so sure it is in this case. Who knows, maybe it gets traction, maybe once everything is out there it’s a blast, but for now… I think it’s going to have a tough enough time just standing out in the ocean of other games, and the fact that I feel really indifferent to the experience isn’t a good sign.